New York Search and Seizure presents a comprehensive review of New York law on search and seizure issues. 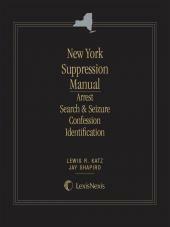 Topics discussed include the Fourth Amendment exclusionary rule, probable cause, street encounters on less than probable cause, law of arrest, search warrants, warrantless searches, motor vehicle stops, suppression motions and hearings, and conduct not covered by the Fourth Amendment. 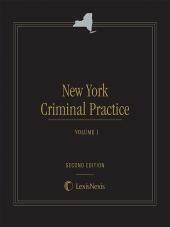 Includes citations to thousands of New York cases and extensive discussion of relevant U.S. Supreme Court decisions. 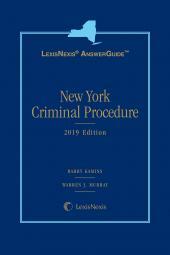 Whether you are a practicing attorney, a law enforcement professional, or anyone else who deals with search and seizure issues in New York, don't be without this essential reference, available in softcover, loose-leaf, and as an eBook in .epub and .mobi formats.